Tapirira is a fruit from Central and South America. 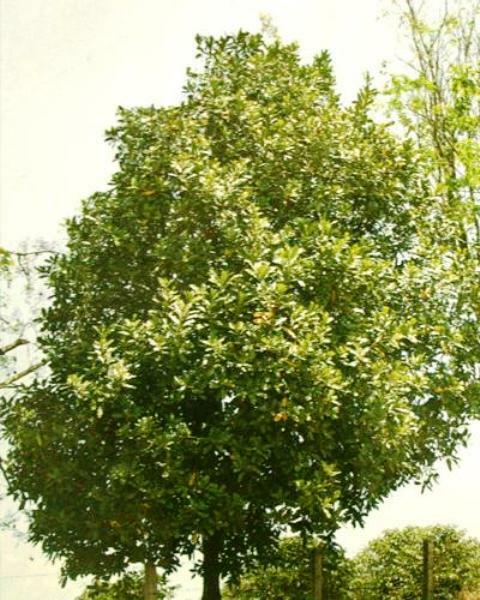 It grows in forests in Paraguay, Brazil, Bolivia, Peru, Ecuador, Colombia, the Guyanas, Venezuela; C. America – Panama, Costa Rica, Nicaragua, Honduras and Mexico. It is found in a wide range of habitats. The fruits are edible and eaten by local people. Tapirira is planted as an agroforestry plant and not for its fruits. 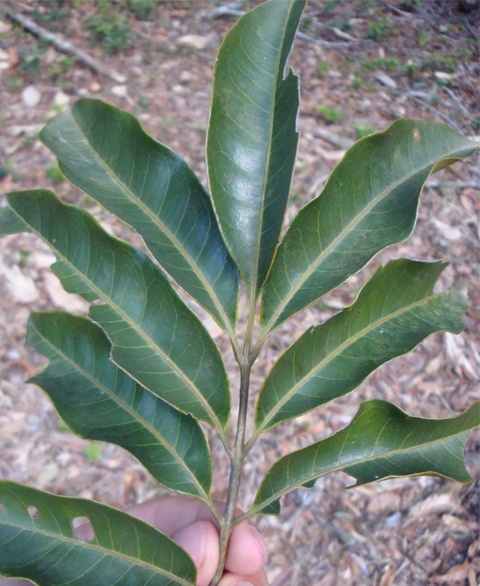 Leaves clustered toward the branch-tips, with (1-)2-5(-7) pairs of leaflets, the rachis 5-35 cm long and minutely ferruginous-puberulent or glab- rous, the leaflets opposite, with petiolules 2-11 mm long (not including the petiolule of the terminal leaflet which is often longer); lamina of leaflets oblong or oblong- lanceolate to somewhat obovate or ovate, slightly oblique, acuminate or subacumi- nate apically (the acumen rounded or emarginate), rarely rounded or emarginate at the apex, basally cuneate to broadly obtuse and often somewhat assymetric, 5-20 cm long, 1.5-8 cm broad, glabrous or sparsely puberulent beneath (rarely above) along the main veins, membranous or slightly coriaceous, entire, paler beneath, often lustrous above, the secondary veins brochidodrome. Panicles axillary but arising from the distal nodes of a branch, densely-flowered, 8-37 cm long, the branches at least sparsely ferruginous-puberulent (the trichomes ascending or appressed). 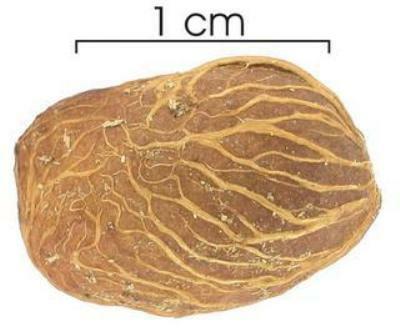 Fruit a drupe, ovoid to oblong or obovoid, 0.5-1.5 cm long, often showing remnants of styles. Seed pendulous from the locule apex or virtually so. 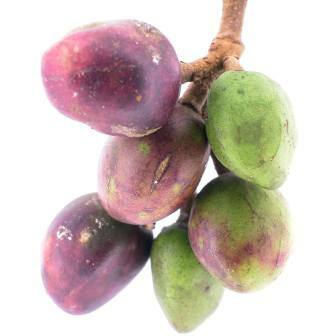 The small sized purple fruits are edible and are eaten by local people. 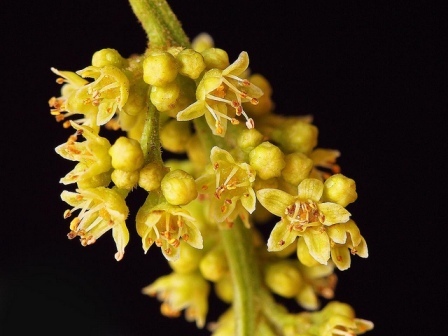 Besides fruits, tapirira has medicinal uses too. The finely ground bark is ingested as a treatment for children’s thrush. A decoction of the bark is used as a fever bath, an infusion is used for washing ulcers. A tea made from the flowers is used by elderly persons experiencing painful urination. Tapirira trees prefer a sunny location. The young trees grow very fast and attain a heoght of 3 metres within 2 years. New plants are raised from seed. The seed is best sown as soon as it is ripe and in a partially shaded position in a nursery seedbed. The seeds sprout in just 15-30 days and the germination is usually high. The seedlings should be transferred into pots when these are 4-6 cl tall. These can be planted in field after 4-5 months.